Conner's Small Engine "The Mobile Mechanic"
With our new online scheduling, getting your machine repaired has never been easier. You can even do it right from your phone! With mobile repair, there is no need to try and bring your dirty equipment to a shop. you never have to worry about making fuel leaking into your car and onto the carpet or seats. Simply put, we come right to your house and fix your machine on site! Have a time conflict with your schedule? Are you working long or odd hours? Are you just plain busy? 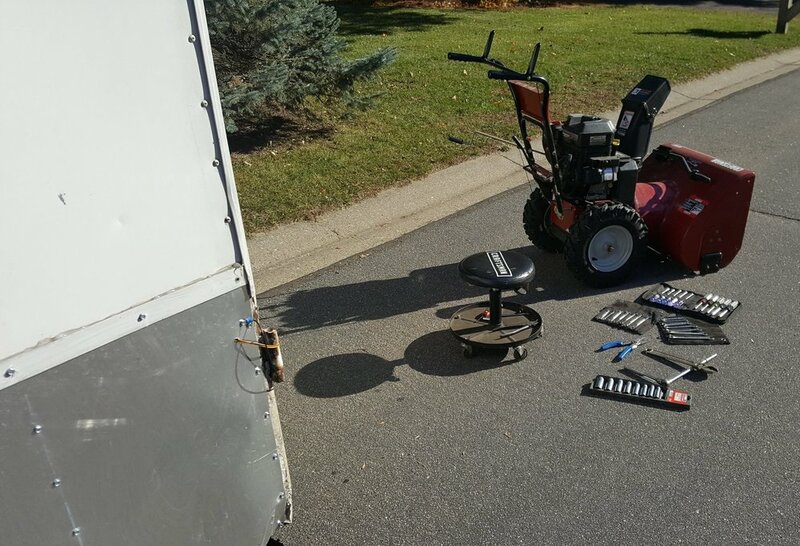 With mobile repair you can schedule a time and then leave your machine outside by your house. We'll take care of the rest. I strive to give you the best service possible. This means being upfront with you about what the repair costs and not stacking additional fees onto the invoice. I accomplish this by including them in the repair packages that I offer. This gives peace of mind to my valued customers. Bottom line, what you see is what you pay. When I was 12 years old I was at my grandfather's farm and noticed a small red Briggs & Stratton engine. I asked him about it and he said it didn't run, but I could have it if I wanted it. Needless to say I took it home and got it running. Everything spiraled from there. Years later I am professionally repairing small engines for resedential and commercial customers.